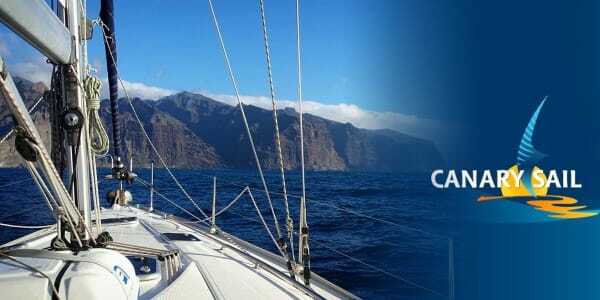 Canary Sail was formed in late 2003 with the purchase of two small yachts and the base chosen was the beautiful Canary Island of La Gomera, marina San Sebastian just an hour ferry run from Tenerife. 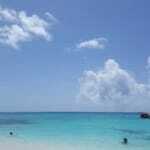 Although off the beaten track, this location is a great spot for a sailing school. It’s the second smallest of the seven main islands of the Canaries in this beautiful Spanish paradise off the coast of Africa. Also, as a bonus it’s a place of great historical interest – it was from here that Christopher Columbus set sail for the new world! Probably no coincidence why Columbus set sail from La Gomera, there is ideal sailing conditions most of the time, the sun in nearly always shining and it’s just a gorgeous spot. Since his day it has also become a great cruising destination where sailors can check out the vast unspoiled Western Canary Islands. In early 2004, with the investment of the second sailboat Jim Grey became the school Principal and owner. In early in 2009 Jim took over the company in its entirety and despite a difficult financial climate, the school grew. Grey believed in the product – and so did the clients, with as many as 40% on average returning for more. From 2009 to 2013, the school really found its stride and the good word spread – client numbers at Canary Sail in La Gomera doubled and the sail yacht fleet increased to five yachts. At that point the decision was made to expand the sail training and charter activities to a second location in the South of Tenerife close to the main TFS airport. 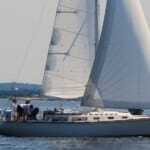 Canary Sail now has a sailboat fleet where clients can choose from 10 yachts. Between the stellar location and the wide selection, Grey and his team are churning out new sailors by the hundred. And for the non-sailor? More recently powerboats have also been added including a Carver Motor Yacht. Jim Grey started dinghy sailing in his early twenties in the UK. At the age of thirty he made his first sailing yacht voyage – and never looked back. 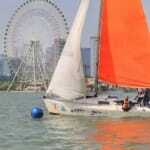 Jim has since lived and worked in Germany and Southern Ireland taking every opportunity to sail for fun. He moved to the Canaries with the health of his son foremost in his mind to help improve his chances of a good life in this warm, dry and clean climate. It is working! Qualifying as an instructor back in 2004 to work with Canary Sail, he now runs Canary Sail and also instructs out on the water sail training from time to time.